Investors Group delivers personalized financial solutions to Canadians through a network of consultants located across Canada. In addition to mutual funds and other investment opportunities, Investors Group offers a range of insurance, securities, mortgage and other financial services. Investors Group’s parent company, IGM Financial, is a leading Canadian financial services company with headquarters in Winnipeg, Manitoba, Canada. Currently, the organization’s board consists of 21 external board directors who are based throughout Canada. Before partnering with Diligent, the Investors Group board faced obstacles due to the inefficiencies of paper-based board packs. The sheer volume of paper produced for board packs created a mountain of challenges for both board directors and board administrators. Besides the increasing costs of printing and mailing the massive board packs, the organization faced the challenge of making sure that board directors had the most updated materials. Meanwhile, board directors often had to deal with transporting several binders with them to board meetings. Furthermore, because the board dealt with sensitive financial information, there were also increased concerns about security. Robillo and her team researched board portal providers, selected 10 vendors and then requested demos from the top-five solutions, which included Diligent. “This was around 2010 when we were evaluating board portals. At that time, the iPad had been recently released and one of our board directors, who also served on a board in the U.S., used Diligent on an iPad and recommended the ‘sleek’ experience,” says Robillo. After an impressive Diligent demo, the Investors Group board gathered positive feedback from the team and completed a cost analysis. The choice was clear: Investors Group selected Diligent. Robillo describes the implementation and onboarding process as a great, seamless experience. With Diligent in place, the Investors Group board has seen myriad benefits. The board is now more engaged, informed and prepared for meetings. Furthermore, since moving away from paper-based board packs, the board has seen a 75% decrease in printing costs. Robillo also explains that many of the board directors travel a lot, sit on different boards and committees, and are iPad users. 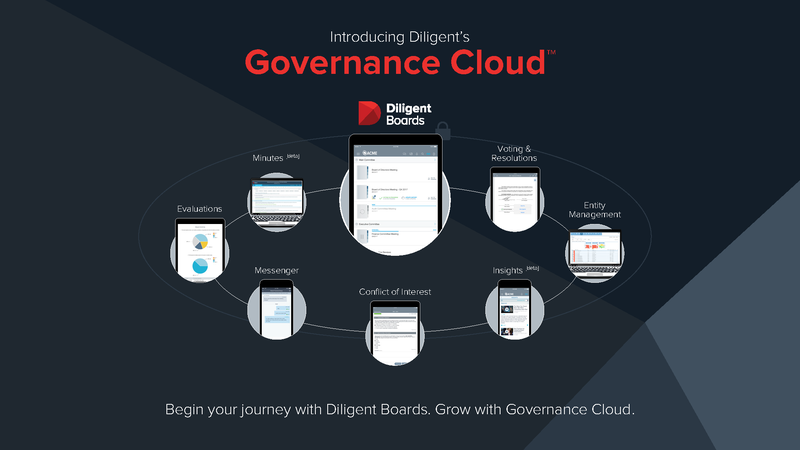 Diligent provides the flexibility of accessing board-related materials and communicating for users who are on the go. Control, security and visibility are other benefits the board has experienced since partnering with Diligent. Investors Group looks forward to their continuing partnership with Diligent and shares their insights for financial organizations looking to implement boardroom technology.